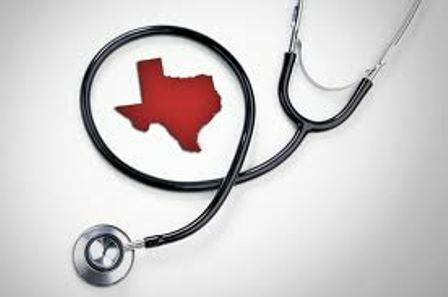 New Orleans There seem to be no lengths to what some states, and we’re talking about Texas now, will go to in order to try and block enrollments under the Affordable Care Act desperately sought by so many families. Governor Rick Perry, like a number of dug-in anti-Obamacare Republican governors with Presidential ambitions, was finally able to persuade the state insurance department to promulgate a number of rules to particularly obstruct the work of navigators in helping people, especially hard to reach groups in lower income and working as well as minority and Hispanic communities, access the program. The final rules were not as bad as Perry wanted as the insurance department and others wilted under the fire of the obvious discrimination in both financial and testing requirements for the navigators and the impossible time constraints on certification, but they were bad enough. By March 1st in order to continue to act as a navigator, one had to get a precise application into the state with fingerprints from a state certified source that could be reviewed by the FBI. By May 1st to continue as well the navigator would have to complete some additional testing and instruction to continue. When the rubber hit the road though, the big Texas talk and the slower Texas walk exposed an unhelpful contradiction for Perry and his state’s rights, anti-federales gang. For a state to trump the federal government it has to prove it is more competent to do something that the Washington bureaucrats. If there is anything that the whole process of rolling out the Affordable Care Act on both the federal and state level has proven is that this is a heckuva complex and hard job. Of course Governor Perry had to learn the hard way himself rather than by watching others stumble and fall. First, there were delays in the long queue to get fingerprints from state certified sources. In Dallas, there was no problem and only day’s wait, but in Houston it was taking up to two weeks to get an appointment to have finger prints. Secondly, though even small toe stubs and traffic problems decades old kicked the approvals back for more explanation, letters, and so forth stalling the process even more with March 1st looming ever nearer. Finally, the Texas Department of Insurance realized they were potentially the rock in the road. If they had not finished certifying people at this simplest level, the whole enrollment process in Texas would be crippled, and the mess and all the attendant political consequences would be at their door. Over the last week they hired people like crazy and worked the overtime so that at least some people would be certified by March 1st so that weekend events, long scheduled could go forward. The Insurance Department says it will be working all of the first weekend in March overtime to get more certifications done with the enrollment deadline of March 31st on final countdown. Orell Fitzsimmons, state director of Local 100, described to me a conversation he had with an employee of the insurance department on Thursday as the first chat he had ever had with any state official who was in a “total hurry.” As for the testing face by May 1st, no one of course has a real clue yet! People are enrolling in Obamacare. The numbers are now at 4.2 million or so. The Wall Street Journal finally reported for the first time on insurance companies crunching the numbers and believing that the 25% younger enrollees may in fact be more than enough to handle the oldsters who have enrolled. People are voting with their feet and the bureaucrats at all levels, just like in Texas, are getting the message: politicians come and go, but the people want government to perform for them, so no matter the slow talk, there better be fast walk in responding to their demands. The tide is turning and no one wants to be accused of getting in the way as the water is rising. Dallas You know how it is. Deep down, you know that there is going to absolutely be “cause and effect,” but sometimes it’s hard to connect the dots. Well, it may have just gotten easier to understand the widespread state by state attacks on navigators assisting in the enrollment for the Affordable Care Act, or Obamacare as we know it. Ok, part of this is simple, admittedly, if Republican governors want the President’s program to fail to enroll significant numbers of the millions of people needing health insurance in order to leave them with a bag of coals under the tree in the form of penalties, then job one has to be to put as many obstacles in the way of the navigators who are tasked with outreach and beefing up the numbers. In fact it’s so obvious that a federal judge ruled this year in Missouri that the obstacles put in the way of navigators and consumer assistors were out of bounds and illegal. The federales are running the marketplace in Missouri, so he held that it is not just presumptuous, but unconstitutional for the state to interfere. No one missed the point that that this might affect a good number of the more than 20 states that defaulted to the feds to run their programs, and in many of those states they are in a civil war against Obamacare. Texas is the most outstanding example where Governor Rick Perry wanted rules so wild and crazy initially that even HHS had to tell him, “no, governor, you can’t have the individual consumer’s information, because that is protected.” Nonetheless in the back and forth where one recent proposal might have cost $2000 per person and months of delays for navigators to be recertified by Texas, now it seems it will mainly take lots of time, 20 hours, a test, and months of waiting for a security check. Those things don’t come out of Coca-Cola machines, you know. In Arkansas, where the state and feds both manage the marketplace, the background checks by the state police average 6-8 weeks. The administrators of Obamacare are in no position to go to the mat with these state resisters nor can they coordinate without making permanent enemies in Congress that they can ill afford, forcing nonprofits in Missouri, and hopefully in Texas, to carry the water to challenge these blatantly illegal obstacles. But, connecting the dots, it also becomes clear that Wall Street totally understands that Obamacare is so complex that navigators are needed. The difference is that they don’t want this to be a neutral signup situation under the navigation rules. Who makes money on that? They want their buddies with the big tax preparation firms to make the money, and I’m talking about H&R Block, Liberty, and Jackson-Hewitt. Heck, the IRS has to mop up the money on the ACA anyway, and that means putting consumers in the laps of the tax preparers on both the sales and cleanup. 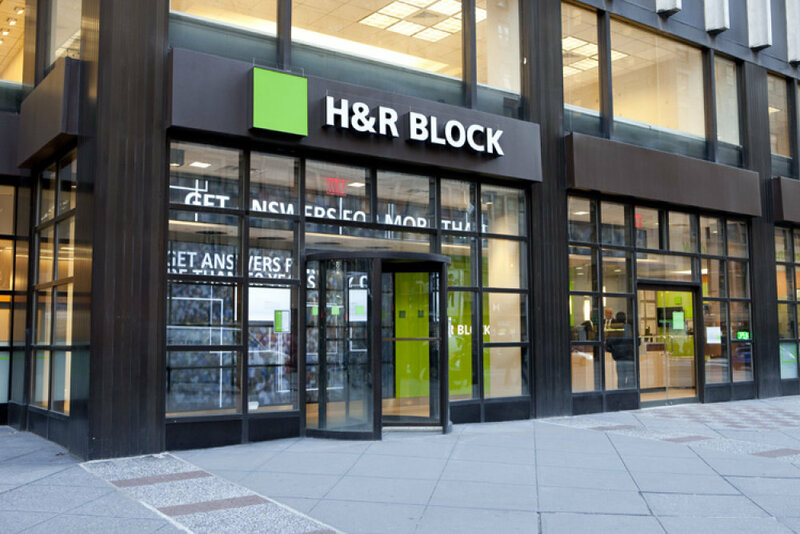 But the bungled rollout and the law’s complex individual tax implications could benefit H&R Block whether or not enrollment meets the administration’s target. If nothing else, the law may expand America’s top tax preparer’s customer base, and help the company earn more from its existing ones. H&R Block already has a pilot program to help people buy insurance. Starting next tax season, penalties for lacking coverage kick in. Even for those with coverage, H&R Block plans to offer guidance and use the refunds it typically applies to high-fee debit cards as a payment option. More people must now file returns and its role as middleman for insurers and insured could be lucrative. Like I say, connect the dots!